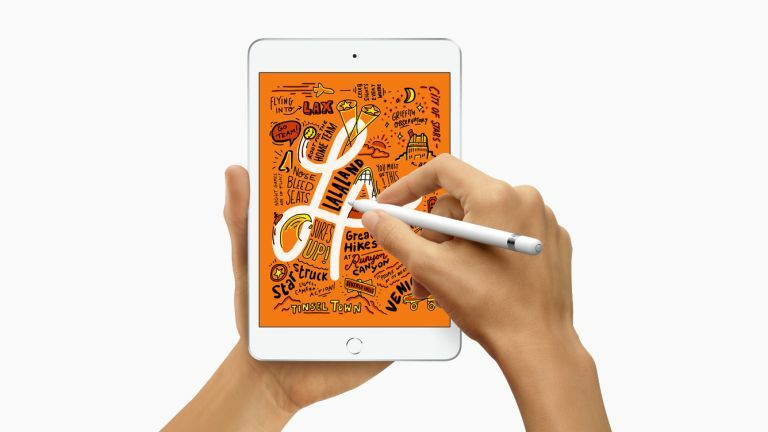 Ahead of the Apple event where it's set to unveil its new streaming TV and movies service, Apple has dropped new two new iPads on the world: the iPad Air and iPad Mini. 'It's Show Time,' indeed! The new iPad Air is basically a new(ish) name for the old 2017 iPad Pro 10.5-inch, but with a beefed up processor. Apple has kept the same frame with a 10.5-inch, 2224x1668 screen that supports Apple Pencil, a wide P3 colour range and Apple's True Tone tech, which tweaks the white balance to match the ambient light in the room, making reading on it much more pleasant. The main improvement seems to be the latest-generation Apple A12 Bionic chip powering it, which is the same comically-fast chip as the iPhone XS. The new iPad Pros have an even more powerful variant of the A12 in, so while it won't be quite as laptop-beatingly powerful as those, it should still be pretty handy. It starts at £479 with 64GB of storage, or there's a 256GB option for £629. Wi-Fi-only versions and models with 4G connectivity in are available, in silver, space grey or gold. An Apple Smart Keyboard cover is also available for it, just like the iPad Pro 10.5 it replaces (it's a very good keyboard cover). The iPad Mini has the same 7.9-inch, 2048x1536 screen it's always had, but has been updated with Apple Pencil support and wide-colour P3 gamut, plus True Tone again. It's also powered by the A12 chip, which is a lot of power for a tiny frame – it all means it's pretty much exactly a smaller version of the iPad Air. It starts at £399 with 64GB of storage, or there's a 256GB model for £549. Again, it comes in three colours. Both new iPads use Touch ID fingerprint security instead of the Face ID system you get on the current iPad Pros, and feature Apple's Lightning port instead of USB-C – it seems like Apple sees the latter as a 'pro' feature. Confusingly, the Apple Pencil support in these two is for the first-generation Pencil, not the new version that works with the new iPad Pros. Given that the wireless charging, magnetic mounting and soft-touch finish of the new Pencil is far superior than the first, it's a bit of a shame.